Of course we all remember when Australian Investment Bank Macquarie sold Wightlink two years back – but did you hear that their owners have changed hands again? It’s taken some digging, but here’s what OnTheWight has found out. There has been some confusion circulating recently over whether Wightlink has new owners. Back in 2015, Wightlink was bought by Balfour Beatty Infrastructure Partners LLP from Australian investment bank, Macquarie. 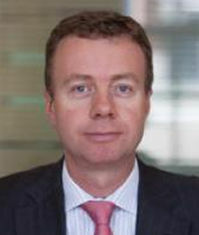 Just over a year later Balfour Beatty Infrastructure Partners LLP underwent a management buyout by Rob Gregor (pictured), Steven Lowry and Jeff Neil and the organisation was re-branded as Basalt Infrastructure Partners LLP (Basalt). At the same time, it was reported that investment management firm Wafra Investment Advisory Group Inc. had bought the 100% interest in Balfour Beatty Infrastructure Partners LLP. “Wafra is one of many investors in our Fund, after buying the Fund investment from Balfour Beatty. To confirm, Wightlink Ferries, who was previously owned by Balfour Beatty Infrastructure Partners LLP, is now owned by the re-branded fund, Basalt Infrastructure Partners I LP. The Fund is being run by the same Fund Managers as before. 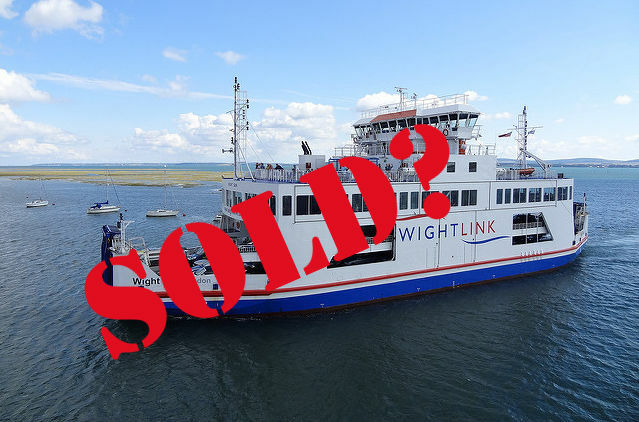 As a reminder, during the sale in 2015, Wightlink stated there would be no changes to staffing, pricing, routes or schedules as a result of the change of ownership. 35 Comments on "Did you hear? Wightlink has changed owners again"
Bad news continues, it’s a financial instrument disguised as a ferry business. Why run an essential transport link as a good value for money not for profit service, when it can be run as a more expensive moneymaker for an investment fund? Interesting that Wightlink have told me that they intend to cut sailings to the most popular times when their new ferry comes into service. In Green la-la land everything can be afforded, the government can fund anything and everything, including free ferries, but excepting weapons, which are bad. Oh, and diesel cars, which are also bad, just like Brexit and the Trump, also bad. With respect, Vix, your analysis is a little simplistic. Cannot – should not – pensions be funded more ethically than by overcharging for essential sea transport links (or, I’m reminded, be plundered for a small fleet of luxurious BHS boss boats), when other options (including infrastructure investments) are available? Go and get us the proof needed for that last less than convincing sentence please. Green’s don’t need practical solutions, they’re a protest group who demonise the elusive rich. Pension funds are too real world for their fake news policy solutions. The ferry service to the Isle of Wight is an essential piece of the U.K. Infrastructure. It should no more be privately owned than the M25! People moan about the ferry fares but a petition that ended just a year ago to regulate them raised less than 5,000 signatures. There are 110,000 people of voting age living on the island. Where were all the signatures? Where has the support for the “fix the ferries” campaign gone? It seems to have disappeared without trace. Apparently various ferry users groups as well as “fix the ferries” have been around for a number of years now, during this time there have been service cuts and above inflation fare rises. It doesn’t matter how much the public protest, the ferry companies just take no notice, but why should they? They are after all private concerns in a very comfortable trading environment. So someone has worked out that when the new ferries are operating there will be a reduction in service. Yet we were told there would be more crossings when passengers needed them. What a con – roll on the fixed link. Dave, no working it out was needed, I queried it with Wightlink’s PR dept. I have it in writing. Build a Bridge and we wouldnt have to worry about the ferry. I think that Skye still has a seasonal ferry service for tourists. Wightlink and Red Funnel claim that they only make a profit during the Summer months so it does make you wonder if this might be the best option. Thirty one years ago when I started training as an accountant, one of the first lectures was “definition of profit” – there are a number of ways of looking at it, and this gets expolotied by financial PR. Unless the ferry companies can be tied down as to how they define profit then their claims are meaningless. With various IWC and other public documents highlighting isolation issues as contributing to the island’s ills there needs to be discussions held on all possible options to resolve matters. The worst option by far would be to treat cross Solent connectivity as a taboo subject. A glaring omission from the rail privatisation was the lack of any regulatory regime being put in place for the ferries.